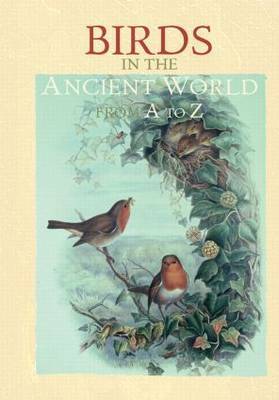 Birds in the Ancient World from A to Z gathers together the ancient information available, listing all the names that ancient Greeks gave their birds and all their descriptions and analyses. W. Geoffrey Arnott identifies as many of them as possible in the light of modern ornithological studies. The ancient Greek bird names are transliterated into English script, and all that the ancients said about birds is presented in English. This book is accordingly the first complete discussion of ancient bird names that will be accessible to readers without ancient Greek. The only large-scale examination of ancient birds for seventy years, the book has an exhaustive bibliography (partly classical scholarship and partly ornithological) to encourage further study, and provides students and ornithologists with the definitive study of ancient birds.